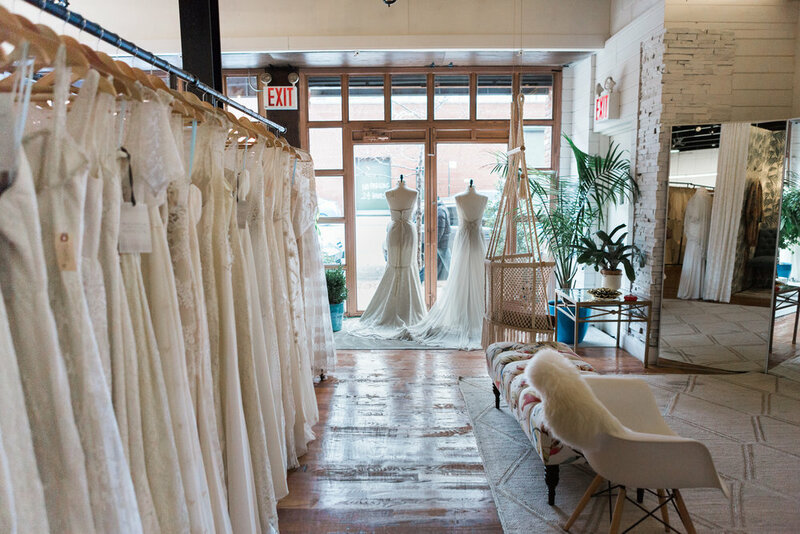 Schone Bride is Our flagship boutique, located in brooklyn nY. At Schone Bride, you will find the entire range of Rebecca Schoneveld Bridal gowns, including some classic archived styles, with samples ranging in size 6-18. We also carry other independent bridal designers from across the globe, all of whom are capable of customizing their gowns for each beautiful bride. We are inspired by 19th century dressmaking ateliers, when every piece was bespoke, made specifically for the person wearing it. There were no walls separating the designers, makers, and customers: they all shared the same space in a workshop. The intention was to involve everyone, particularly the client, in the process. We bring that same intent to our atelier; the desire is to create an experience where you are involved in the creation of your perfect wedding gown. You will experience a level of care and transparency not normally seen in the garment industry. Our desire is to bring back the tactile aspect of design to our clients, while at the same time balancing modern day schedules and budgets. About 75% of our collection is made In House at our own atelier which is just down the street from our flagship boutique. We are proud to be part of the revitalization of the New York fashion industry, which was the heart of American fashion until the 1980’s when fast fashion and cheap labor overseas became so much the norm. Much in thanks to savvy consumers, appreciation for American made fashion has seen a revival in recent years. We are grateful to have a space where conscientious, ethically-minded consumers can go to support these artisans, all while being made to feel beautiful and cared for in a unique way.